Vigo is a city and municipality in the province of Pontevedra, in Galicia, north-west Spain on the Atlantic Ocean. 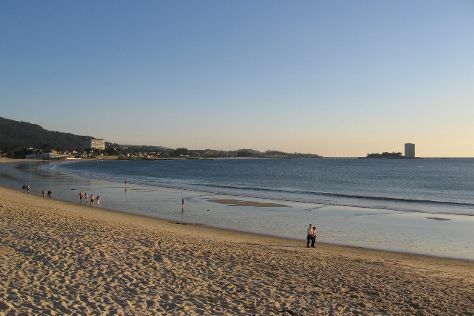 Kick off your visit on the 13th (Sat): kick back and relax at Playa Samil and then kick back and relax at Playa Vao. To see traveler tips, reviews, maps, and more tourist information, read Vigo trip itinerary builder. If you are flying in from Israel, the closest major airport is Santiago de Compostela Airport. In August, daily temperatures in Vigo can reach 28°C, while at night they dip to 17°C.